Looking for someone special to watch the Super Bowl with this year? Why not try Ashton Kutcher or Jenny McCarthy? 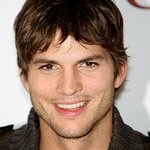 Kutcher is hosting a VIP Super Bowl party on January 31 to raise money for the Giving Back Fund. The event will be held at a private house in Tampa – to be revealed when you purchase tickets – and the ticket price is $1000. Established in 1997, The Giving Back Fund provides professional philanthropic management, consulting, and mentoring to athletes, entertainers and others. In the past they have worked with Ben Roethlisberger, Yao Ming, Sam Madison and many more. Jenny McCarthy is hosting the annual Leather and Laces VIP party on January 30 at Jackson’s Bistro to raise money for her autism charity, Generation Rescue. Also scheduled to appear at the event are Carmen Electra and Kim Kardashian, and the event will include live entertainment by the amazing world renowned Cirque USA performers doing awe inspiring feats. The extravaganza will take place on Friday, January 30th from 9:00 p.m. – 3:00 a.m. at Jackson’s Bistro, located in the heart of Downtown Tampa connected to the Wyndham Harbor Island and only one block from the Tampa Convention Center, Marriott Waterside and the TECO Line streetcar.